Hand Cane -Or- Sheet Cane? 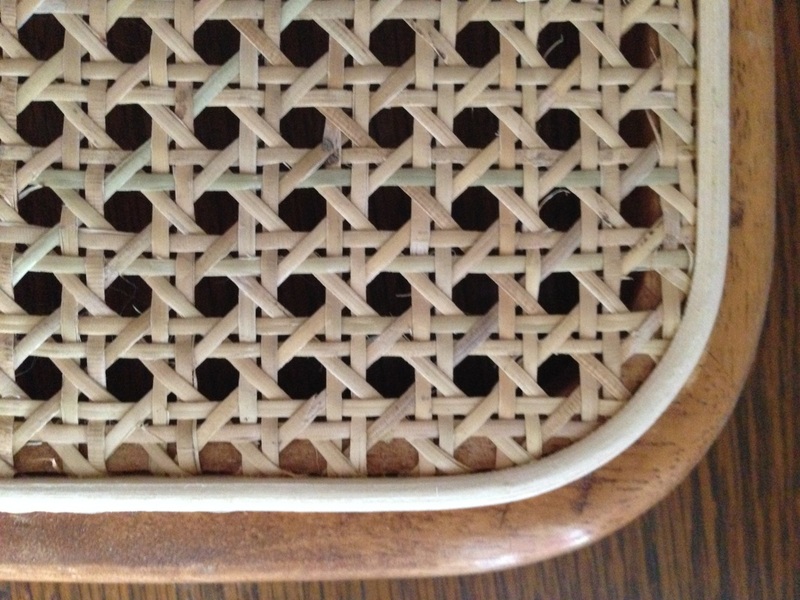 Like the name suggests, this technique is done completely by hand, strand by strand and attaches to the chair by holes drilled through the wood. 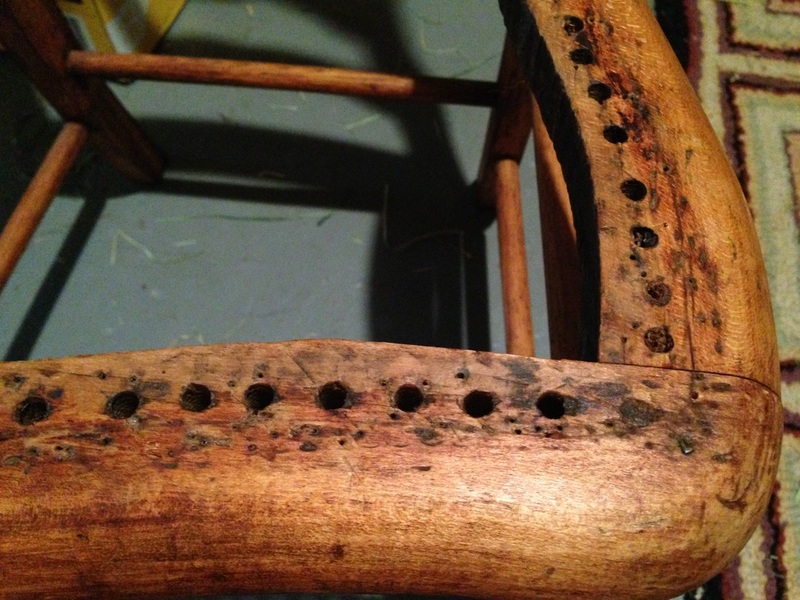 What you'll be looking for is evidence of holes drilled through the wood where the cane attaches to the chair. 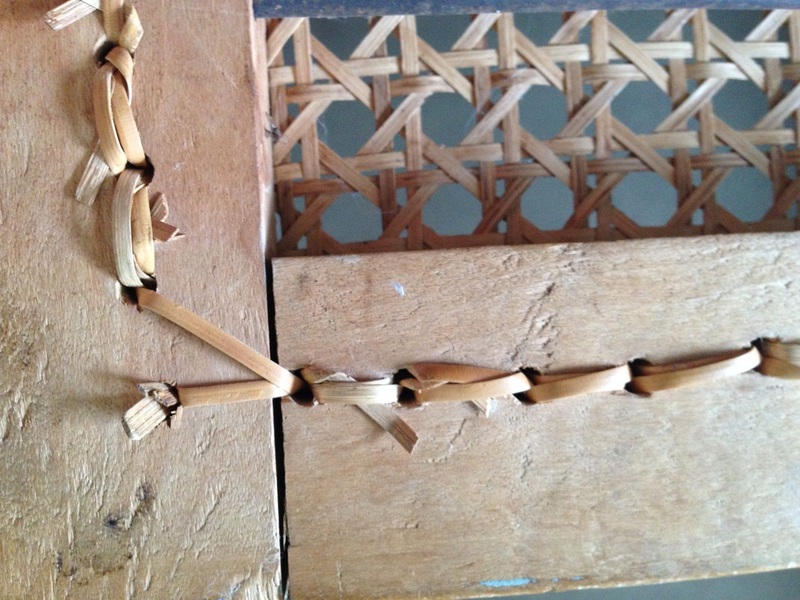 From the front side: Hand caning has a strip of cane covering the holes drilled through the wood and is held in place by cane looping up and down through those holes. From the back side: Do you see cane coming up and down through holes drilled in the wood? If you do, it is hand cane. An rare exception: If you can tell that there are holes drilled into the wood from the front, but you do not see the holes and cane coming through from the back side- this is a technique called French or Blind Caning. Also like the name suggests, the cane comes pre-woven in sheets. It is also called "pressed" cane because of the way it is installed- by pressing the sheet of cane into the grove in the wood. What you'll be looking for is evidence of a continuous grove in the wood where the cane attaches to the chair. From the front side: Sheet Caning has a solid piece of wood (or "spline") that holds the cane to the chair. From the back side: Nothing is coming through the wood. All of the attachment happens on the front side. 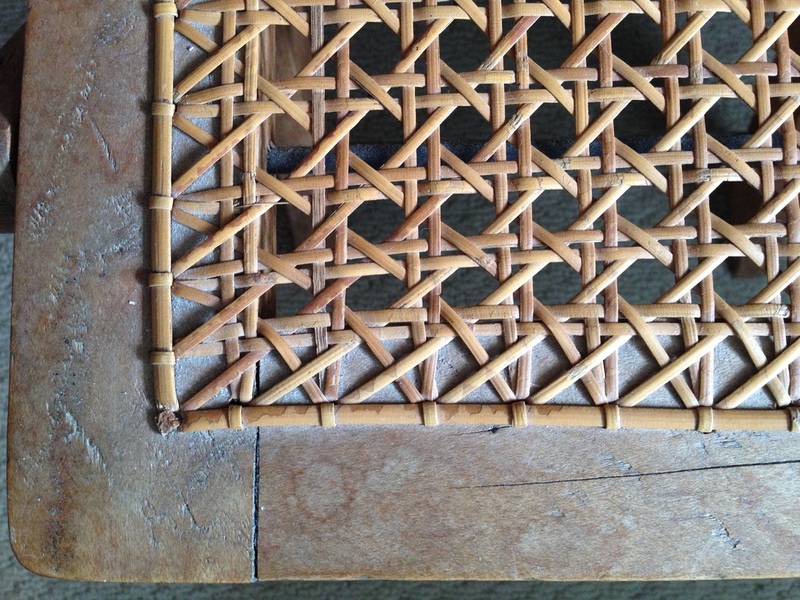 Can my Hand Cane chair be Sheet Caned (or vice versa)? Thanks to my friend Brandy Clements for this epic cautionary tale of a Hand Cane seat totally ruined by someone trying to convert it to Sheet Cane grove. The caning technique your chair was made to accept should be the only technique preformed. Period. 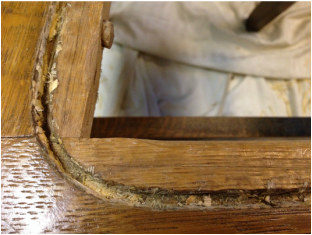 There is misinformation and directions out there that suggests making a cheaper repair to Hand Cane chairs by routering over the Hand Cane holes and installing Sheet Cane. "Professionally" this is often done without the owner's consent to make the repair "quick and easy" for the caner while still charging the owner the full cost for what should have been a quality Hand Cane restoration. Most people are not knowledgeable about caning and never know the difference until the seat structure starts to break apart or they get their pieces appraised only to find out major damage has been done. 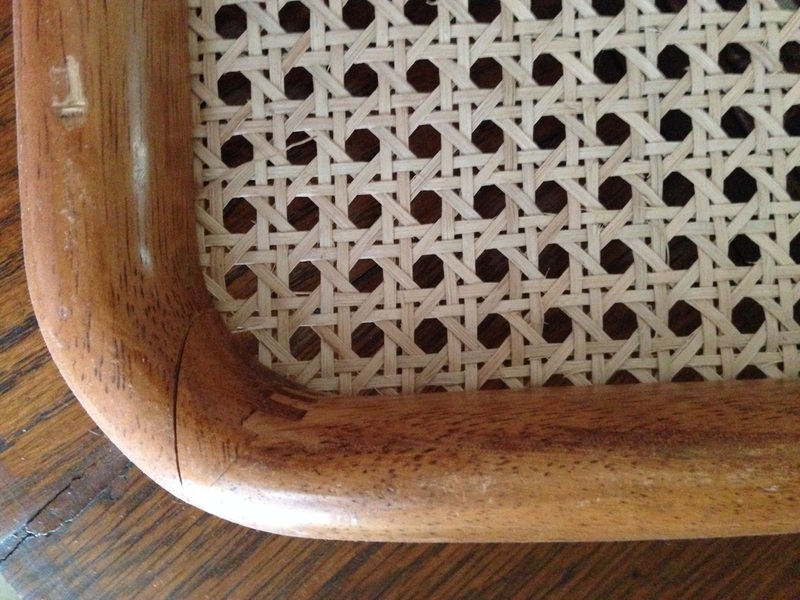 Routering over the holes permanently ruins the chair seat, value, and often causes the wood to split apart since there is so little left. Quite often this is a very costly repair or simply irreversible. I NEVER do this nor suggest it be done.